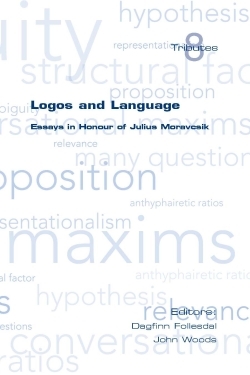 This volume arises from a conference in December 2006 to honour Julius Moravcsik on the occasion of his formal retirement from the Stanford Philosophy Department. The programme was structured around the several areas of philosophical investigation in which the honoree has made highly regarded contributions, and most of the conference speakers were his former students. The scope of the volume reflects Julius Moravcsik's striking versatility, ranging from ancient Greek philosophy, contemporary philosophy of language to aesthetics and ethics.